Abstract: The university is a place of wonderful possibilities for teaching and learning for students and instructors alike. Intuitive practice based on experience and self-reflection may lead to good teaching and learning outcomes, however examining the practices of others and incorporating results of research enhance the possibilities for improving the student and instructor experiences. In reflections on over 15 years of leading University courses, significant changes in teaching and learning climate and practice will be presented from one instructor’s perspective, with a focus on changing classroom experiences. While the classroom is by no means the only place where learning may take place, it is habitually used as an educational space. Guided by key questions such as “In the age of ‘online’, what is the value added in face-to-face contact?”, this journey will follow the implementation of an instructional team model in a large multi-section course, experimenting with interactive engagement activities, peer-peer teaching and a flipped classroom, and the transformation of a large Introductory Chemistry course to a flipped classroom course supported by blended learning. This presentation will examine some of the useful activities that can take place in a classroom, with a focus on incorporating evidence-based best practices to engage students, support learning and support students and instructors in their experience together. When areas of instincts, practice and research meet, beautiful reactions can take place, and constructive interactions are built in the intersections of these spaces. 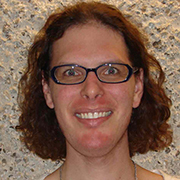 Biography: Over the past seven years, Pippa Lock has developed a strong and well-deserved reputation as an outstanding professor in the Department of Chemistry. She excels in the classroom and her teaching evaluations are consistently the highest in the department. Pippa Lock loves the challenge of making the abstract concepts of chemistry come alive for first-year students. The assistant professor’s approach to teaching and learning is so effective that she has been named a 3M National Teaching Fellow for 2014, an honour announced February 2013 by 3M Canada and The Society for Teaching and Learning in Higher Education. Lock’s introduction-to-chemistry classes are big on interaction and participation, and even include skits where students act out chemical equations. Whatever it takes to foster knowledge and love for the subject, Lock is ready to try it, whether with large groups or in smaller sessions with Integrated Science students. Lock is one of 10 educators across Canada to be named fellows for 2014, joining 13 McMaster faculty members to have been named previously to the honour since it was created in 1986. Abstract: Studies of memory have mainly examined how we remember past experiences, but an important function of memory is to allow individuals to simulate or imagine future scenarios. A rapidly growing number of studies have shown that simulating future events depends on much of the same neural and cognitive machinery as does remembering past events. This presentation will review some of these findings, and focus in particular on the role of episodic memory, a system that supports recollections of past personal experiences, in constructing simulations of future or hypothetical events. The talk will consider both pitfalls and adaptive aspects of episodic memory and simulation in the context of research on planning, prediction, empathy, problem solving, and the interconnected set of brain regions known as the default network. Biography: Daniel Schacter is William R. Kenan, Jr. Professor of Psychology at Harvard University. Schacter received his PhD in 1981 at the University of Toronto, and remained there until 1987, when he moved to the Department of Psychology at the University of Arizona. In 1991, he joined the Department of Psychology at Harvard University, and served as chair of the department from 1995-2005. Schacter’s research has explored the distinction between explicit and implicit forms of memory, the nature of memory distortion, how individuals use memory to imagine possible future events, the effects of aging on memory, and more recently, enhancing learning from lectures. 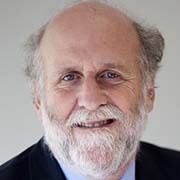 He has published over 350 articles and chapters on these and related topics, and has received a number of awards for this research, including a Guggenheim Fellowship, the Warren Medal from the Society of Experimental Psychologists, the Award for Distinguished Scientific Contributions from the American Psychological Association, and election to the National Academy of Sciences. Many of Schacter’s ideas are summarized in his 1996 book, Searching for Memory, and his 2001 book, The Seven Sins of Memory, both named as New York Times Notable Books of the Year, and both winners of the American Psychological Association’s William James Book Award. Abstract: Spaced practice and retrieval practice are two highly robust techniques for promoting long-term learning. A particularly potent combination of these two techniques. My talk will focus on a particularly potent combination of these two techniques—referred to as successive relearning—and I’ll present data illustrating how this combination can support durable and efficient student learning. 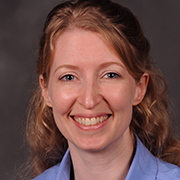 Biography: Katherine Rawson earned a Ph.D. in cognitive psychology at University of Colorado and is currently an Associate Professor in the Department of Psychological Sciences at Kent State University. 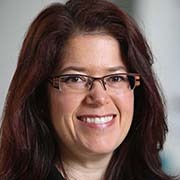 Her research program includes two interrelated areas of research: One area explores how to optimize learning in educationally relevant domains, with current emphasis on strategies that promote the durability and efficiency of student learning, the mechanisms underlying these effects, and the self-regulatory processes that support such learning. The other area explores the cognitive processes involved in skill acquisition, with a particular interest in mechanisms underlying the automatization of reading processes. Presentation Title: Does number sense matter? Abstract: Mounting evidence has demonstrated the existence of a system for the representation of numerical magnitude that is shared between species, can be detected very early in development and is associated neuronal activation of the parietal cortex. In view of this evidence, greater attention has been paid to roles played by basic number processing (also frequently referred to as ‘number sense’) in the typical and atypical development of mathematical skills. In this talk, I will discuss evidence from a series of behavioral and brain imaging studies that have examined the developmental trajectories of basic number processing and their relationship to the ontogeny of mathematical skills. I will demonstrate that individual differences in numerical magnitude comparison abilities are related to variability in children’s mathematical skills in both cross-sectional and longitudinal studies. Finally, I will discuss data that suggests that not all measures of ‘number sense’ relate to mathematical achievement equally and that it is important to move beyond a unified construct of basic number processing and towards a differentiated, multi-level model of the typical and atypical development of numerical magnitude processing and its relationship to the learning of arithmetic. Biography: Daniel Ansari is a Full Professor in the Department of Psychology and the Brain and Mind Institute at the University of Western Ontario in Canada. 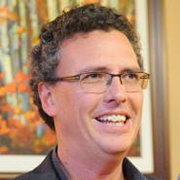 has been Canada Research Chair in Developmental Cognitive Neuroscience at the University of Western Ontario in Canada, where he heads the Numerical Cognition Laboratory (www.numericalcognition.org). 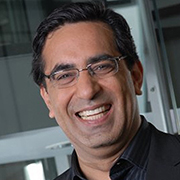 Ansari and his team explore the developmental trajectory underlying both the typical and atypical development of numerical and mathematical skills, using both behavioral and neuroimaging methods. 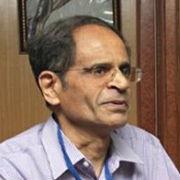 He serves as an Associate Editor of the peer-reviewed journals, PLoS ONE, Developmental Science and Mind, Brain and Education. In 2009 Ansari received the ‘Early Career Contributions’ Award from the Society for Research in Child Development and in 2011 he was awarded the Boyd McCandless Early Researcher Award from the Developmental Psychology Division of the American Psychological Association. 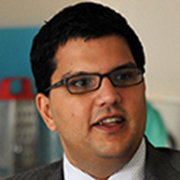 Currently, Daniel Ansari is the president-elect of the International Mind, Brain and Education Society (IMBES). Abstract: Educational technology provides exciting new possibilities for communicating information in engaging and efficient ways. Indeed, PowerPoint slideware has become the most popular instructional tool with an estimated one million PowerPoint presentations taking place each hour. Web-based instruction has also become a primary medium for delivering course content, with increasing numbers of institutions developing online courses. My talk will present research investigating optimal presentation design strategies to promote student learning. It will include lab-based evidence demonstrating the importance of designing presentations based on a scientific understanding of human memory and attention. I will also explore the unique role of working memory in predicting the efficacy of design strategies across diverse age groups. My goal is to inspire critical thinking of instructional design and to highlight the importance of considering cognitive limitations to create effective presentations. 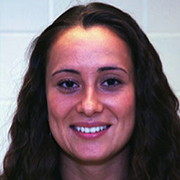 Biography: Barbara Fenesi is currently a Ph.D. student at McMaster University in the Applied Cognition in Education Lab. Her research examines effective instructional design strategies across a wide range of learners, with particular interest in application to classroom instruction and online course design. Current projects include investigating the optimal text and image combinations in multimedia instruction that promote meaningful learning and accurate metacognitive awareness. She also examines the effectiveness of educational technology across the lifespan and considers individual differences in cognitive aptitude to determine the most effective instructional design across diverse learning abilities. The ultimate goal of this research program is to translate optimal instructional technology for consumption by both younger and older learners. Abstract: The spacing effect is the phenomenon by which placing gaps between learning episodes improves retention on a later test. Recent lab-based research has demonstrated that providing spacing between learning episodes can double long-term retention a year later, when an optimal gap is provided. Less clear is the degree to which the spacing effect will survive implementation in real-world classrooms, which contain increased noise from sources such as visual and auditory distractions and missed class periods. We have run three classroom-based studies, all of which demonstrate an educationally meaningful spacing effect benefit, albeit an effect of reduced magnitude compared to laboratory studies. This line of research provides initial evidence that teachers should make deliberate use of the spacing effect when organizing curriculum units and choosing frequency of testing. Larger scale classroom trials should be conducted to provide evidence that a wide range of teachers can learn how to properly implement spacing effect interventions, and a wider range of spacing manipulations should be investigated. Biography: Melody Wiseheart is a cognitive developmental psychologist at York University. She specializes in educational psychology, including methods for optimizing learning and translation of laboratory memory research to real-world classroom environments. Her primary spacing effect publications examine the interaction between study episode timing and retention interval, and related lines of research demonstrate the importance of corrective feedback during the learning process and use of retrieval practice during learning to boost later retention. Abstract: Students often find it difficult to sustain attention during classroom lectures. As a result, considerable amounts of class time can be spent engaged in bouts of mind wandering, a mental experience known to get in the way of effective learning. Hence, the development of interventions that can be used to help students maintain focus in the classroom should be of considerable interest. In this talk, I will present data from a series of recent experiments demonstrating that attention to and learning from lectures can be considerably improved with the use of interpolated memory tests. Specifically, I will discuss the benefits of interpolating lectures with memory tests on the occurrence of mind wandering, note taking, and test performance. Next, I will present data indicating that the timing of interpolated tests can influence their effectiveness in improving attention and learning. Finally, I will present results from a recent brain imaging study that provides new insights into the manner in which brain networks involved in attention, cognitive control, and introspective thought interact with one another in the context of learning from lectures. I will conclude by outlining the development of new research that will bring brain imaging techniques into the classroom in order to bridge the gap between laboratory research and learning in the classroom. Biography: Dr. Karl Szpunar (B.Sc., University of Toronto at Mississauga, 2003; Ph.D, Washington University in St. Louis, 2009; postdoc, Rotman Research Institute, 2010) is currently a postdoctoral fellow at Harvard University where he is working with Dr. Daniel Schacter on developing novel research paradigms to help unravel the cognitive and neural underpinnings of factors that promote and/or obstruct effective learning in lecture settings. Dr. Szpunar has published over 30 articles and chapters on the topic of human memory, and was recently recognized with an early career award from the Association for Psychological Science. In 2015, Dr. Szpunar will be joining the Department of Psychology at the University of Illinois at Chicago as an Assistant Professor. Abstract: There is currently a push in Ontario for professors to consider transforming their classes into ones that fit with the Ontario Online University notion, and in Fall 2013 I agreed to do so with my Introduction to Psychology class. Doing so required augmenting our use of peerScholar with the creation of two new tools; Digital Labcoat and mTuner. In my talk I will describe what a “fully online” course looks like, I will highlight the tools we use and the literature they are based on, and then I will present some of the research we have conducted within the class context to assess both efficacy and satisfaction. As such, the overall talk will demonstrate how my class has, in many respects, become my lab and how such an arrangement can result in a positive and synergistic relationship with the students. Biography: Professor Joordens is a Cognitive Psychologist with research specialization in Memory and Consciousness, and with more recent interests in Educational Psychology. He has been a faculty member at the University of Toronto Scarborough since 1995 and has taught a wide range of courses including Memory and Cognition, Statistics, WikiScholar and, most recently, their 1900 student Introduction to Psychology class, a course he has transformed into a “fully online” course making heavy use of blended learning and evidence-based educational technologies created by himself and his students. In the spring of 2013 he mounted a Massive Open Online Course (i.e., MOOC) entitled Introduction to Psychology, hosted by Coursera, and funded by the Bill and Melinda Gates Foundation. With over 60,000 students registered, and 15,000 regularly active, he employed all of the educational technologies created in his lab (i.e., peerScholar, mTuner and Digital Labcoat) to provide a rich and warm educational experienced that exercised cognitive skills while imparting knowledge. Abstract: Working Memory (WM) is a limited capacity cognitive construct that allows individuals to select and attend to goal-relevant information during distraction, and coordinate this incoming information with pre-existing knowledge from long-term memory. WM is a critical component in education research as individual differences in WM limitations influence the effectiveness of classroom interventions. My talk will focus on one such intervention, namely the interleaving effect, which states that interleaving exemplars of to-be-learned concepts, rather than blocking exemplars by concept, enhances learning. Moreover, I argue that when interleaving is available, the question is not simply if it is effective, but effective for whom, when, and why?I present evidence to demonstrate that interleaving is beneficial or detrimental depending on whether the primary task is to discriminate between exemplars of different concepts or to encode commonalities of exemplars within concepts, respectively. Importantly, I demonstrate how individual differences in WM can produce variability in the magnitude of the interleaving effect on learning of statistical concepts. 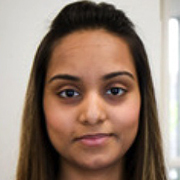 Biography: Faria Sana is a PhD student in the Department of Psychology, Neuroscience, and Behaviour at McMaster University. 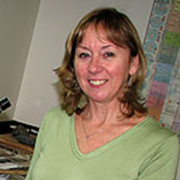 Her general research interests are in learning and memory within educational contexts, with the over arching goal to promote connections between basic cognitive research and educational practice. Building on cognitive theories of learning, she examines how cognitive processes influence encoding, long-term retention and successful retrieval of complex information. Currently, she is studying how individuals process and encode non-parametric statistics concepts in order to correctly recognize and categorize novel word-problems.